Caterpillar Local Host Plant : Macarange gigantea (Euphorbiaceae, common name: Giant Mahang). 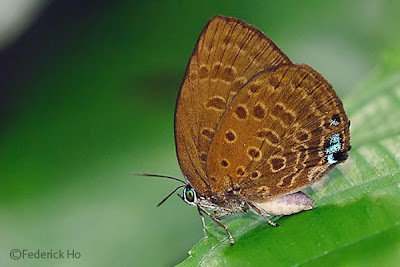 Above, the male is bluish purple with a dark border on the forewing extending from 2mm (width) at the tornus to 3mm at the apex ; the female is pale purple with broader dark borders than the male. 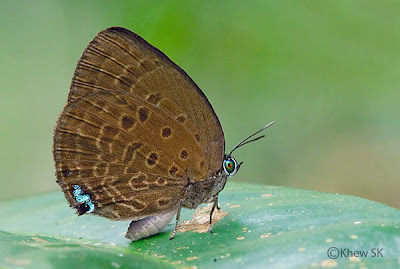 Underneath, for both sexes, the post-discal band on the forewing is dislocated at vein 4, and the post-discal spots in spaces 5, 6 ,7 on the hindwing overlapping and their centres aligned. The spot in space 3 on the forewing is usually an oblique oval. There are tornal green scales in the tailless hindwings which are slightly toothed at the end of vein 2. 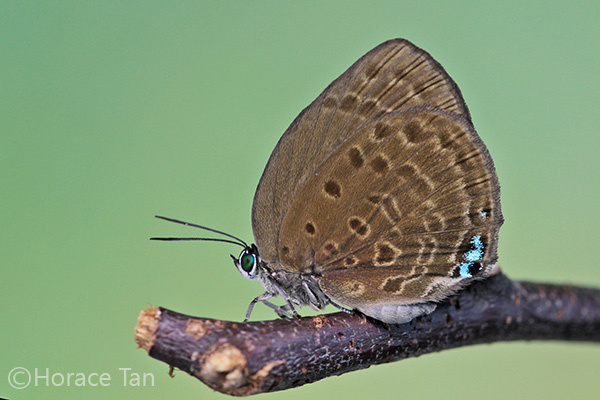 This species is common in Singapore. 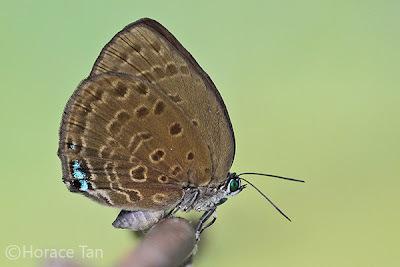 Sightings of the adults largely occur in the Central Catchment Area and Bukit Timah Nature Reserve where its host plant, Macaraga gigantea is present in relative abundance. Essentialy a forest denizen, the adults are typically observed in shady areas near its host plant. 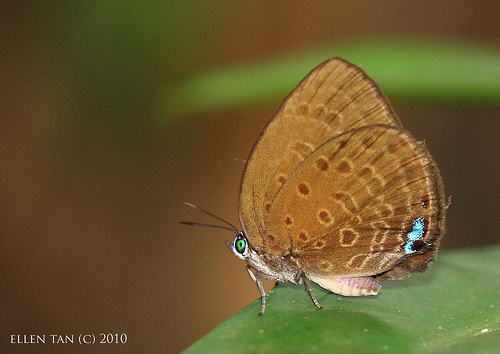 Its underside markings are almost indistinguishable from its close cousin, Arhopala amphimuta amphimuta.